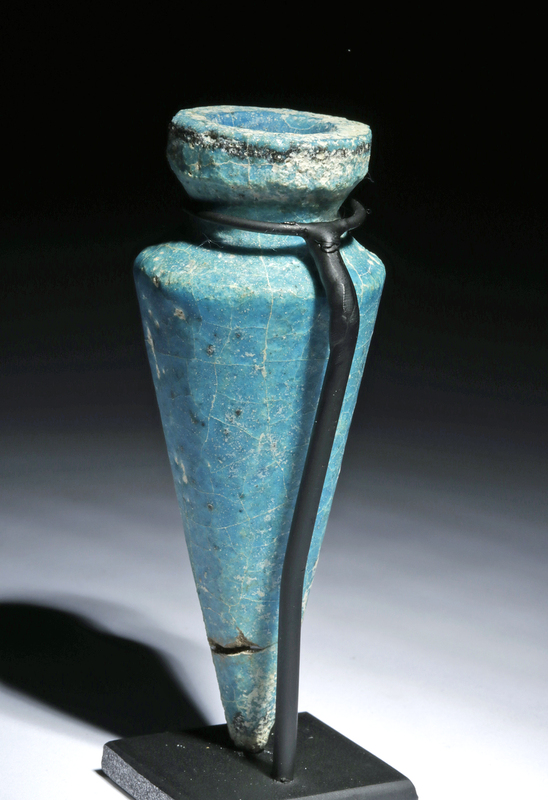 Ancient Egypt, New Kingdom, 18th to 20th Dynasty, ca. 1549 to 1070 BCE. 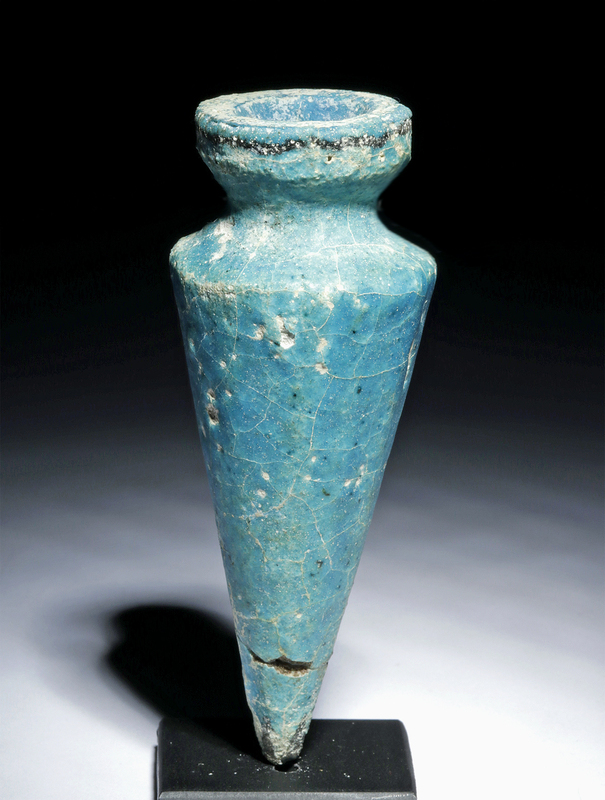 An intriguing votive plumb bob which is mold-formed from faience and enveloped with brilliant blue glaze. The conical tool has a wide shoulder, a corseted neck line, a thick rim with a central indentation, and a pointed tip at its base. Applied black pigment creates a thin ring around the top of the rim as well as several small petals surrounding the bottom tip. 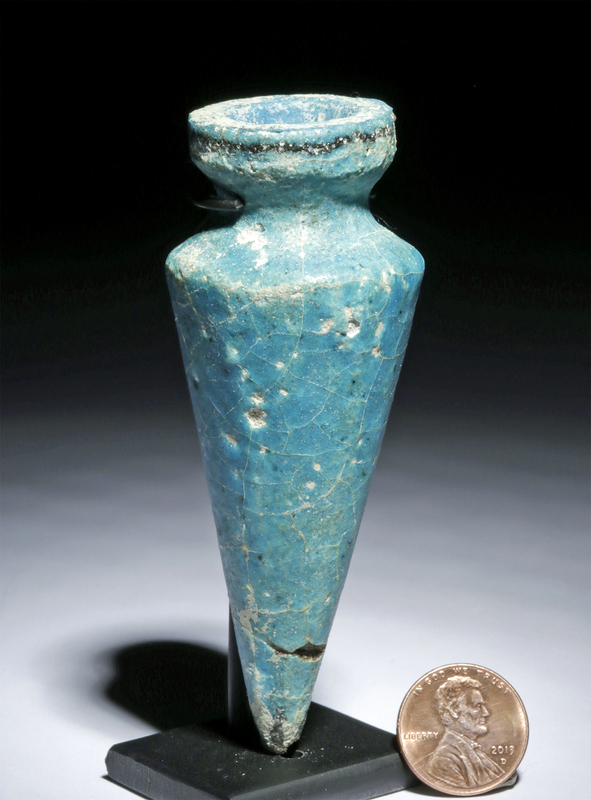 Invented by the Egyptians more than 4,000 years ago, the plumb bob is generally heavy tool made of lead which is hung from a string and used for establishing vertical references when erecting large structures. 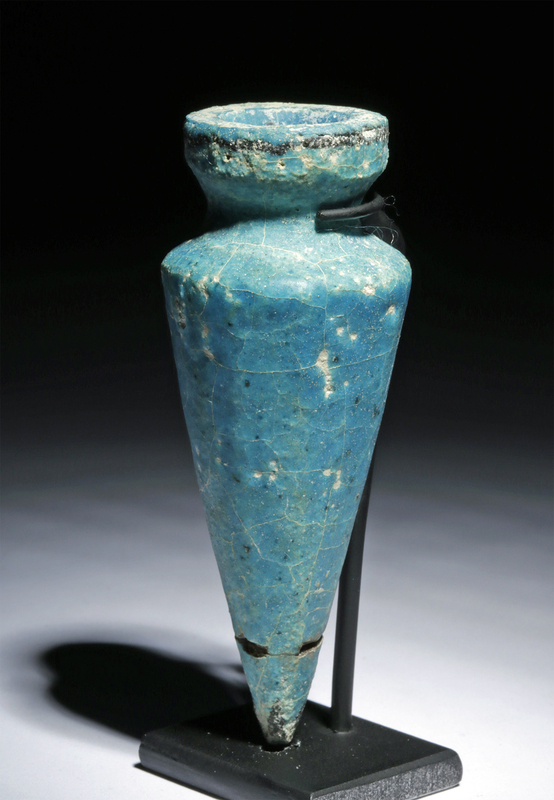 This faience example, however, was perhaps deposited in the tomb as a votive for a well-respected architect or builder. Custom museum-quality display stand included. Size: 1.3" W x 3.7" H (3.3 cm x 9.4 cm); 3.9" H (9.9 cm) on included custom stand. Condition: Lowest tip reattached with small chips and light adhesive residue along break line. Small nicks to rim, body, and base, with light encrustations, fading to some areas of glaze pigmentation, and light pitting. Nice earthen deposits and craquelure to glaze throughout.